Situated in the seaside town of South Shields, just half a mile from Bede tube station and 4 miles from Seaburn train station. 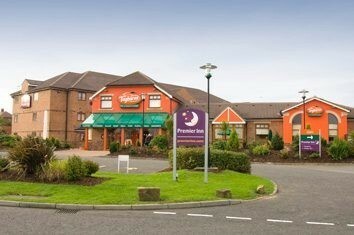 Conveniently located 11 miles from Newcastle Airport. Our South Shields Premier Inn has everything you'd expect, incredibly comfy beds in every room and an onsite Taybarns restaurant offering amazing choice at amazing value.